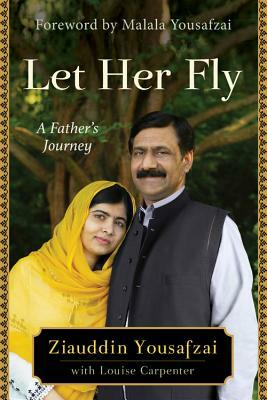 With humor and sincerity, Yousafzai describes his life before the Talibanization of Mingora, scenes of his sons Khusal and Atal fighting kites on the roof, his progressive partnership with his wife Toor Pekai, and the challenge of raising children in an unfamiliar country. After Malala was shot by the Taliban, the Yousafzai family was completely uprooted from their home in the Swat Valley and forced to start over in the United Kingdom. Now, Ziauddin expresses the complex pain and joy of his return, six years later, to the site of Malala's attack. Ziauddin Yousafzai is a Pakistani diplomat, educator, educational activist, and human rights campaigner. Best known as the father of Nobel laureate Malala Yousafzai, he is the co-founder and serves as the Chairman of the Board for the Malala Fun. He also serves are the United Nations Special Advisor on Global Education and as the educational attaché to the Pakistani Consulate in Birmingham, UK. dedicated to uplifting women as equals."